Our 19 inch rack mountable PDU has a 1U profile and is made from aluminum. With 6 Euro (schuko style) sockets. 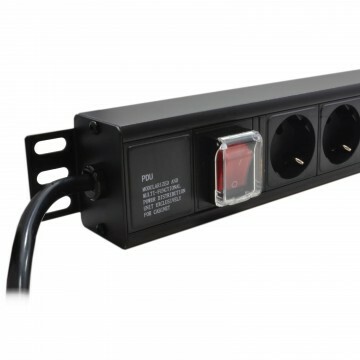 The PDU has a 1.8 meter cable and also comes with on and off switch along with a switch cover for extra safety.